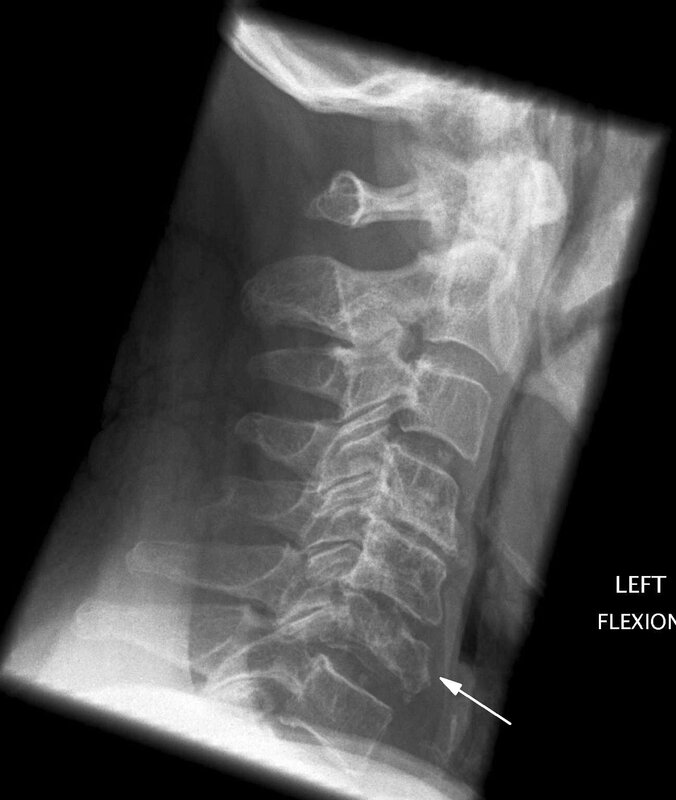 This pathway provides guidance on the imaging of adult patients with non-traumatic neck pain. 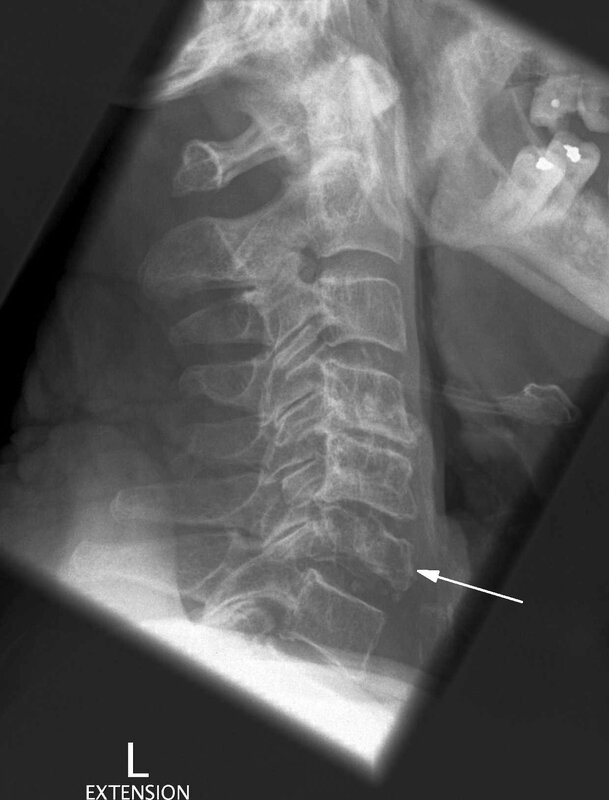 Image 1a and 1b (Plain Radiograph): Degenerative changes are seen in the mid cervical spine most marked at C4,5,6 with anterior and posterior osteophytes and loss of disc height. There is marked collapse of the C6 vertebral body (arrow) with approximately one third loss of vertebral body height. There is no subluxation on flexion or extension.